Many homeowners across the Triangle want to sell their home. Apex, Raleigh, and Cary are just a few local communities that are red hot for buyers. As Flat Fee Realty assesses the market, we believe the time to list is now! Compared to other states that have experienced declining real estate prices after the housing market crash of 2008, North Carolina has progressed each and every year. Zillow.com estimates the median home value at $150,000 statewide and predicts that value will increase 3% in 2016. In addition, Charlotte and Raleigh are leading the state in home appreciation and sales since 2010, according to Wells Fargo Economic Outlook. With such a hot real estate market in Raleigh, it is important to have the home for sale visible to buyers and agents. Our real estate experts at Flat Fee Realty are well-connected in the Triangle area, and we know the right strategies to sell local homes quickly and with the right process. Our team of professionals will provide insight into current real estate market trends, especially those factors that are influencing the local market boom happening this summer of 2016. Millennials and young professionals are driving home sales: College graduates and young professionals are flocking to the Triangle in order to secure jobs in engineering, research, medical trials, and education among others. Property values have also increased, further sparking interest in the local housing market. Buyers are focused on needs not wants: Local home buyers are interested in buying homes based on location and functionality, rather than luxury and amenities. With a need to be near the Research Triangle Park (RTP) and other technical and research heavy areas, entire markets benefit. For example, Downtown Raleigh and inner beltline areas have seen more than 2,000 apartment complexes built over two years and the demand is increasing with more corridors opening up along Interstate 40. Demand is high and supply is low: According to Triangle Real Estate, in the first two months of 2016 there were 1,427 homes listed in Wake County with only 5.61% expiring. The average sale was 98.76% of the asking price and took about 51 days to be sold. This is all encouraging news for homeowners looking to sell a home in Raleigh, Apex, Cary, Wake Forest, Durham and other very active markets! By utilizing the experience of our real estate professionals at Flat Free Realty, any home is sure to sell quickly and at or around the median-market value. Contact us today to see how we can help! For many home buyers in the area, from Cary to Durham to Apex, the real estate market can be very intimidating and challenging. There are so many factors to consider like school districts, mortgage rates, relocation, and the overall investment of home buying in the Triangle. 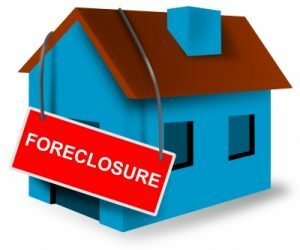 Interestingly, there is also a growing number of bank-owned and foreclosed properties listed to sell “as-is” across the region. Usually the seller is either unable or unwilling to pay for repairs or deficiencies in the home and it goes for sale in this category. The good news is that this doesn’t necessarily mean it is a deal-breaker or a “stay away from” for home buyers, especially here in the Triangle area. 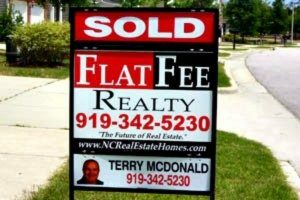 At Flat Fee Realty, our real estate experts are here to help buyers in Raleigh, NC and surrounding areas make these types of investments and to do it right. Consult local realtors in the know like Flat Fee Realty: Listing a home to sell with the “as-is” clause means that the home seller isn’t obligated to pay for repairs. The home sellers are also not legally liable for any unfortunate events that may occur after the close. Since many sellers are financial institutions, these banks, credit unions, and loan offices may not be fully aware of the property’s condition. It is very important to consult real estate experts like Flat Fee Realty for guidance during home buying process. Use the Due Diligence Period. Although not mandatory, the due diligence period for home buyers is ideal for conducting home inspections. The buyer has the advantage here, as they can cancel the contract at any time before the home is closed. This is a good time to survey the neighborhood and have the property evaluated in order to ensure a wise investment. Budget for Repairs. After inspections, all required repairs will be brought to the attention of the buyer. However, many Triangle home buyers are usually happy with their considered purchase since most repairs are relatively minor; regardless, plan to budget for maintenance when considering a home listed “as-is”. Home buying doesn’t have to be a daunting process, and we have our local team of specialists here to help! Contact the Triangle’s Real Estate Experts at Flat Fee Realty today and experience buying the perfect home.